After the trial you must pay dues to be a member of this Meetup. Cancel dues at any time. Dues are billed each year. Welcome to the home of the San Diego Trail Running Club. 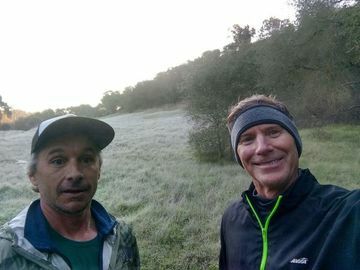 As the title suggests, we are a running group that does....trail running. What makes us different is that we are a not a training group focused on training for a specific race. Rather, we are a group of runners who like to get off the pavement and run the trails of San Diego County. Our members train for races of all distances from 5K to Ultra-marathons. We are sponsored by the San Diego Running Institute and Dirt Devil Racing. We receive 20% off everything running at SDRI! Plus we get huge discounts on all Dirt Devil races including the Foxy Trail Half Marathon & 5K, Wildhorser Trail Half Marathon & 10K, the Stairway to Heaven trail half Marathon & 15K and the Raptor Ridge Trail Half Marathon. Plus we host out very own impromptu races where we give out some cool swag! These races are for Dirt Devils only!! We are also very social. Join us after a run for a trip to a local microbrewery or for breakfast at a diner after our runs. We look forward to having you with the group.